Animal behaviour is the basis for ascertaining their welfare and is a topic of ever growing importance. This textbook is organised into three sections covering all major farm animals of the world, both mainstream and specialist: large farm animal species (horses, cattle, swine, sheep and goats), poultry and farmed birds and non-domesticated animals such as deer. Each chapter describes the elements of behaviour of a particular species in a clear and uniform format. Background to domestication, innate and learnt behaviour, social behaviour, mating behaviour, activity patterns, senses, behaviour in the young animal, vision and hearing are all covered for each species. 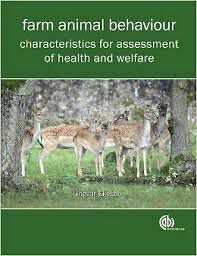 Understanding of ethological knowledge is both a necessary aid for getting correct diagnoses, but also for the assessment of health and welfare in the single animal or a group of animals, making the book valuable for veterinary practitioners as well as students at university and tertiary level.